Hello friends! Are you currently coming up with a holiday shopping list? 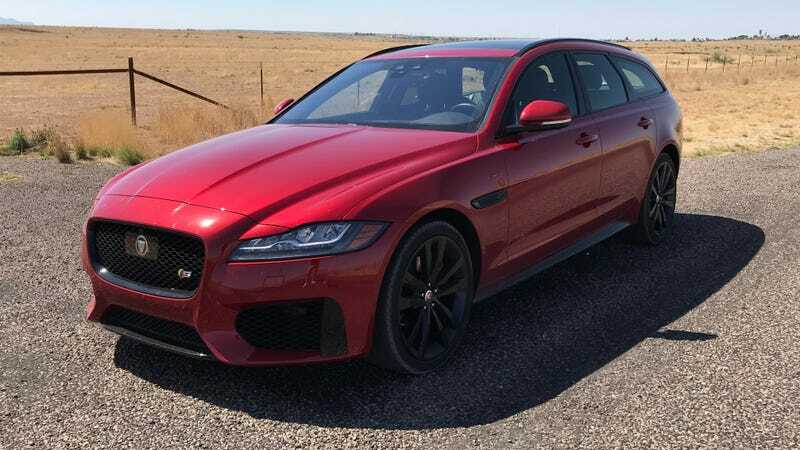 I’m about to simplify that task for you right now because Jaguar is offering some huge discounts on the super cool XF Sportbrake. Pick up one for a friend or family member, or just treat yourself. We like wagons here on Jalopnik. We especially like wagons that go fast and look good. The Jaguar XF Sportbrake does both. The small issue, other than the fact that it may be better with a V8, is it can be a bit pricey. It seems that Jaguar overestimated the market just a tad for the XF Sportbrake. It turns out Americans don’t really buy a lot of wagons, who knew? Naturally, the automaker wants to clear out some inventory before the end of the year. That means savings, lots and lots of savings. Right now, it’s possible to get upwards of $16,000 off a brand new Sportbrake. Currently, Autotrader.com is listing 177 new XF Sportbrakes for sale across the US, many of these cars have some serious discounts. Second, many of these cars can be leased. Depending on the lease programs in your region, the payments may be way more competitive than a car with a similar MSRP. While these XF Sportwagens aren’t “cheap” they are certainly a killer value for someone in the market for a luxury long roof.